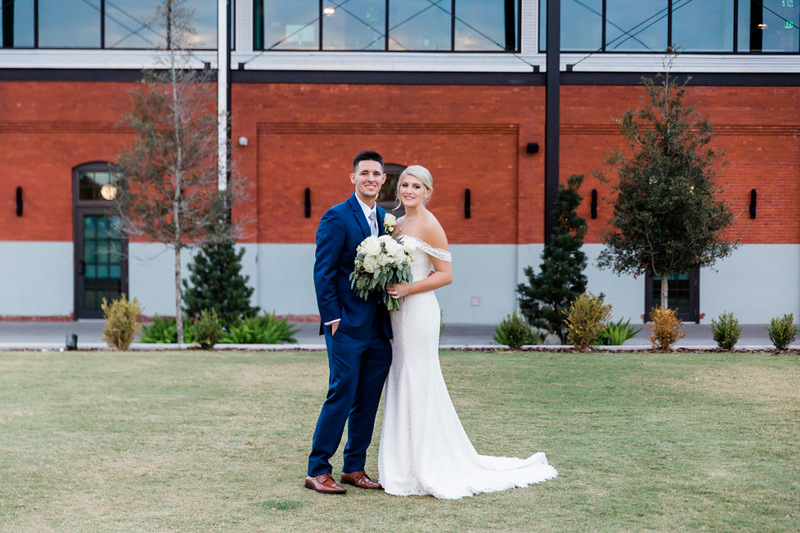 We loved getting to be a part of Alison + Cody’s recent wedding – this sweet couple was married this January at Our Lady of Perpetual Help Catholic Church in Tampa followed by a reception at Armature Works. We had a great time spending the day with Alison + Cody, and we love all the gorgeous images that our Master Photographer Cornelia captured of their amazing wedding! 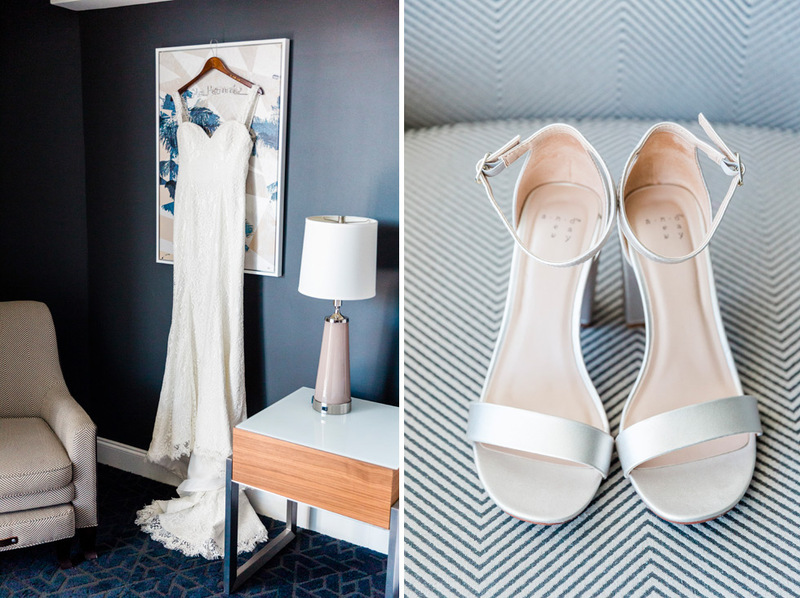 We’re so happy to share some of our favorites on the blog today! Alison looked amazing in her wedding gown – she had the most gorgeous hair barrette, and we love the amazing draped sleeves on her dress, it was perfect for her! Alison + Cody were married at Our Lady of Perpetual Help Catholic Church in Tampa. It was a really beautiful ceremony, and we loved getting to see Alison + Cody surrounded by their family and friends who had come to support them on their wedding day! Immediately after the wedding ceremony, we moved with the bridal party to Armature Works, where we were able to take some formal portraits of the entire group together before the reception got started. This was such a fun group of friends, and we had a blast getting to spend the day with them! 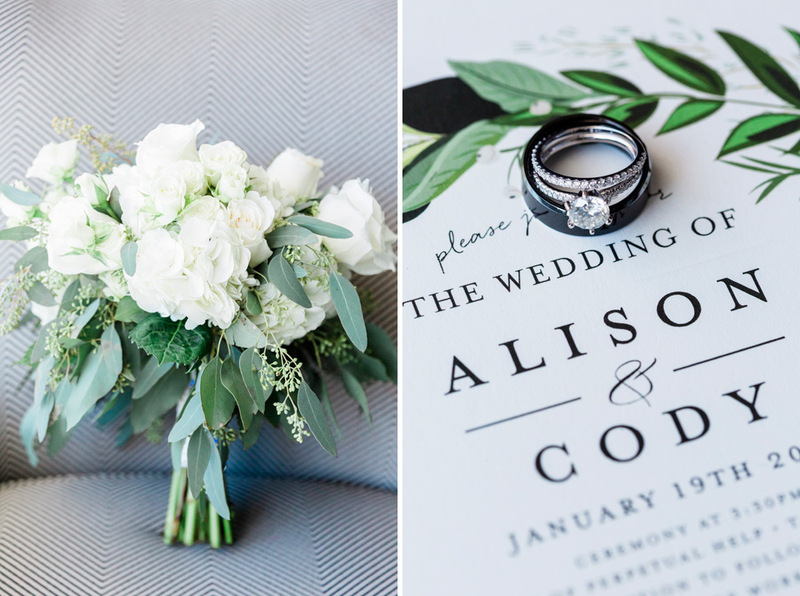 We love these romantic portraits of Alison + Cody together after their wedding ceremony. They look so happy and in love in each one! Alison + Cody’s wedding reception was held in the main event space at Armature Works. We loved the gorgeous decor that they used on the tables in the reception space. Everything came together perfectly and looked amazing for their celebration!! Congratulations on your gorgeous wedding, Alison + Cody! We were honored to share in this special day with you both!